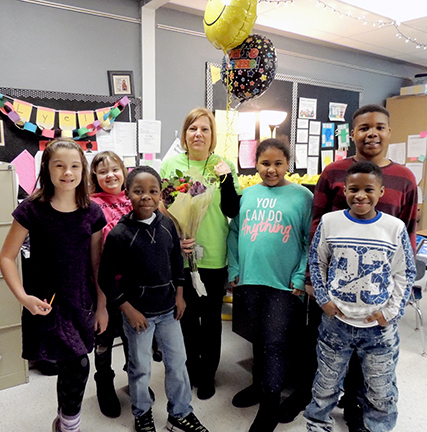 Terri Lyell, a Special School District (SSD) self-contained classroom teacher at Parkwood Elementary School, was chosen to receive one of SSD's Key to the Classroom awards. The award recognizes the achievements of SSD’s excellent educators. Teachers are selected for their creative approaches to student learning, innovative programming and commitment to student success. One Key to the Classroom recipient is selected by a committee as the SSD Teacher of the Year.